Carolina Wholesale Group Announces New Partner Pro Sales Platform to Help Dealers Grow their Top Line. | Industry Analysts, Inc.
Charlotte, North Carolina – The Carolina Wholesale Group, a tier one North American distributor of imaging products and value add reseller services is pleased to announce the successful launch of their brand-new Partner Pro Business Growth Platform. Effective immediately, customers of Carolina Wholesale, Arlington Industries and Digitek (distributors of the Carolina Wholesale Group) can benefit with access professional training and digital marketing services to grow their top line. Unlike anything else in the industry, the Partner Pro Platform provides a fully managed portfolio of Digital Marketing Services and the largest line up of On-Demand Learning Courses hosted by award winning Sales Performance Coach Rick Lambert. Rick is a fresh face to the imaging industry with new ideas to win in today’s hyper competitive digital selling arena. • Selling Managed IT Services to Win – How to identify, engage and qualify more opportunities. Interested parties can visit www.partnerprosolutions.com , contact their sales representative or register for the upcoming webinar “The Inconvenient Shift in Sales & Marketing!” scheduled to air 2-3pm EST on September 7th . 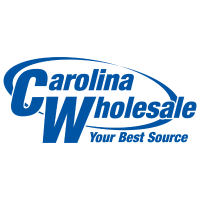 Carolina Wholesale Group, the parent company of Arlington Industries, Carolina Wholesale, Digitek, and Smoltz Distributing, has been providing products and service to resellers since 1972. Headquartered in Charlotte, North Carolina, CWG has recently-expanded distribution centers in eleven locations across North America. You can learn more at www.cwholesalegroup.com or contact them at (800) 521-4600. Follow Carolina Wholesale on: Twitter, Facebook, LinkedIn, Google+, and YouTube. This entry was posted in Uncategorized and tagged Carolina Wholesale Group, Digitek by IA Staff. Bookmark the permalink. ← Previous Previous post: Your Life! Without bolt-ons.